Two Western governors on Tuesday warned the Trump administration against making big changes in a plan to protect a ground-dwelling bird across the West, saying it would send a message to states not to bother working together to save other imperiled species. 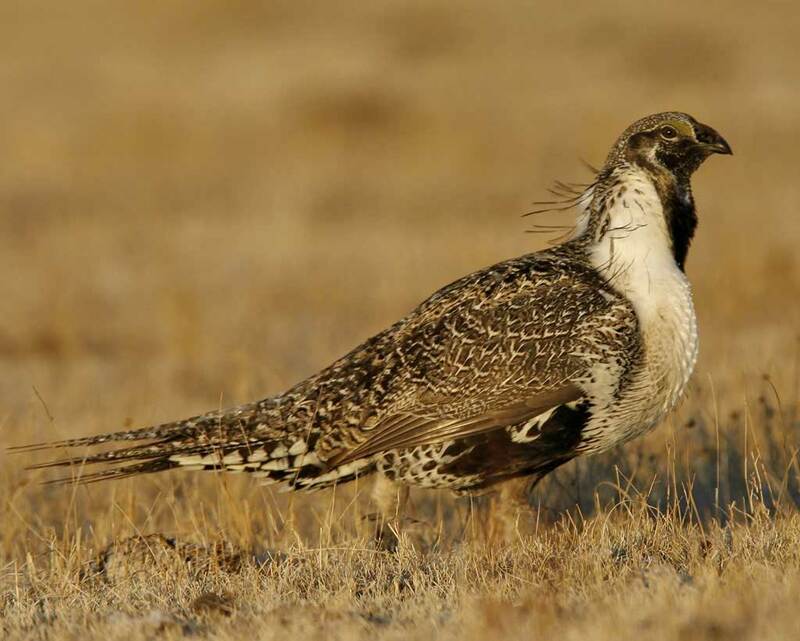 Colorado Democrat John Hickenlooper and Wyoming Republican Matt Mead said a 2015 conservation plan designed to save the greater sage grouse was the product of long negotiation among state and federal governments, conservation groups, industry and agriculture. They appeared together at an energy conference at Colorado State University. The 2015 plan is designed to protect the bird without putting it on the Endangered Species List, an outcome that most states try to avoid because it usually brings strict restrictions on oil and gas drilling, mining, agriculture and other activities to protect habitat. But Interior Secretary Ryan Zinke said in June his department would consider changing the plan to give states more flexibility to allow mining, logging and other economic development. Environmentalists have said the planned revision was just a back-door attempt to open up more land to mining and drilling. Millions of sage grouse once lived across the U.S. West, but development, disease, livestock grazing and an invasive grass that encourages wildfires has reduced its number to fewer than 500,000. The 2015 plan covers 11 states and had the approval of the Obama administration. It took years to negotiate and was hailed as a model for saving a species through cooperation, rather than the hammer of the Endangered Species Act. The Interior Department has not released the full details of its planned revisions, but the agency announced in early October it would withdraw protections for about 15,600 square miles (40,000 square kilometers) of sage grouse habitat on federal lands to allow energy development. “We look forward to continuing to work with the governor on this and many other issues,” Swift said in an email to The Associated Press. Mead said protecting endangered species has become a serious problem, citing figures that show less than 2 percent of the species protected under the act since it was passed in 1973 have recovered enough to be removed from the list. “Now, if you care about species, or you care about energy production or you care about commerce, we’ve got to do better than that, and a collaborative process that brings in Western states on endangered species, in my mind, is the best way to go,” he said. Not all Western governors support the 2015 plan. Idaho Republican C. L. “Butch” Otter filed a lawsuit shortly after the plan was released, contending the Obama administration illegally imposed federal land-use restrictions. A federal judge dismissed the lawsuit in January, but Otter has appealed.